Anthony Burger was a piano virtuoso with an incomparable style of playing, who commanded a stage with his keyboard acrobatics. 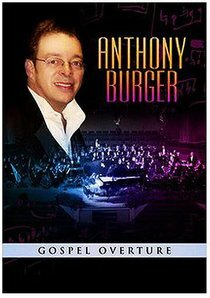 A much beloved member of the Gaither Homecoming Family for more than a decade, Anthony Burger was also a celebrated solo performer and recording artist. Audiences around the world marvelled at the skill he displayed on great old hymns and convention songs, but the child prodigy was equally at home playing big Broadway show tunes or classical compositions. His untimely death in 2006 left a profound void.